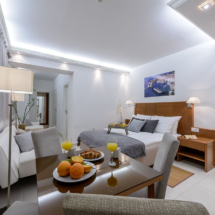 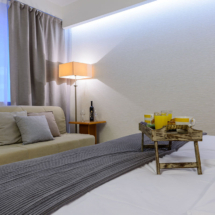 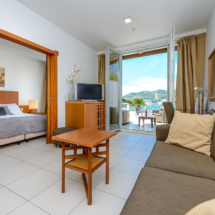 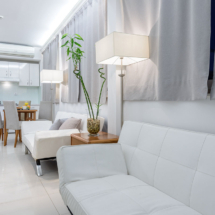 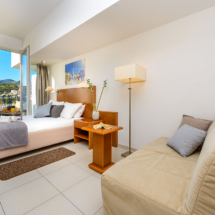 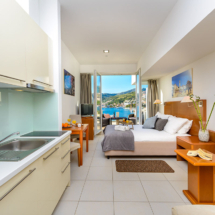 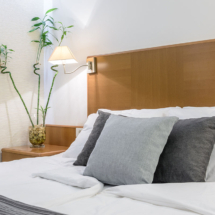 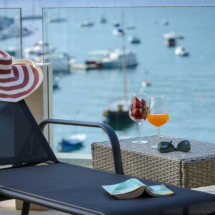 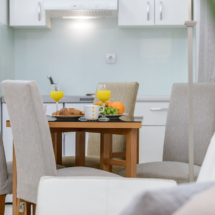 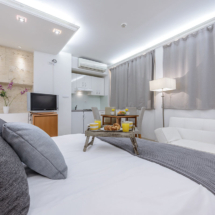 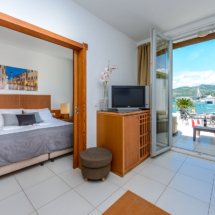 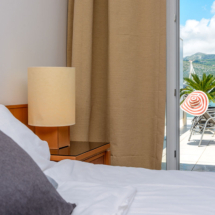 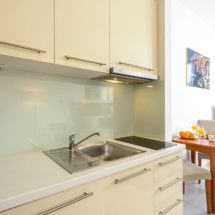 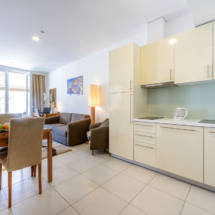 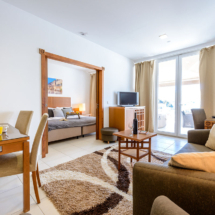 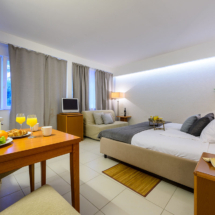 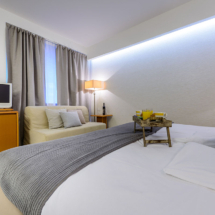 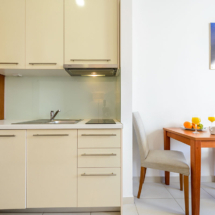 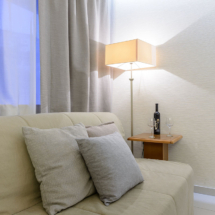 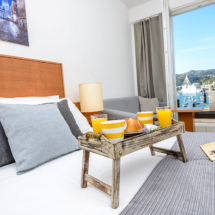 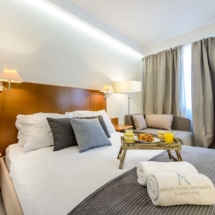 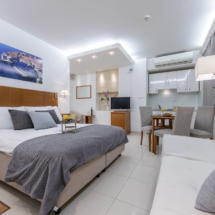 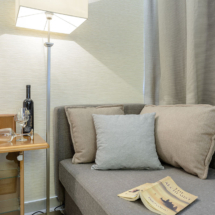 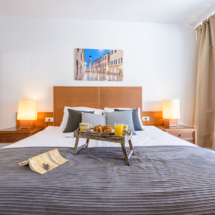 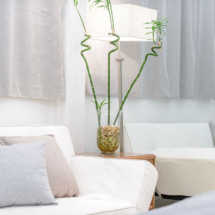 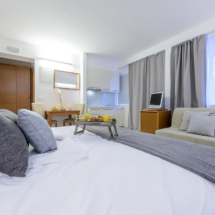 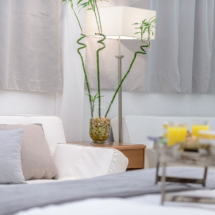 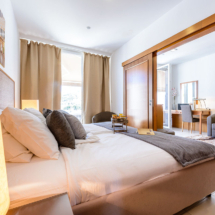 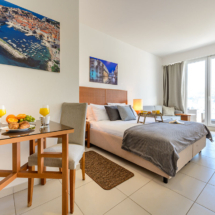 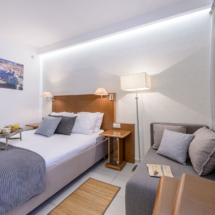 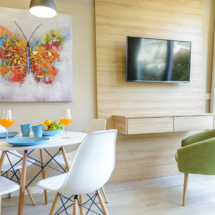 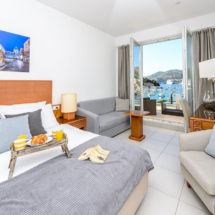 Stylish 35 m2 large studio apartment featuring a king size double bed, a large sofa bed and a sea view terrace, comfortably fits up to 4 persons. 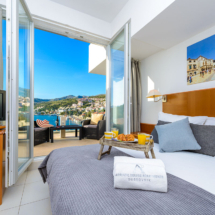 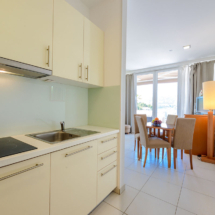 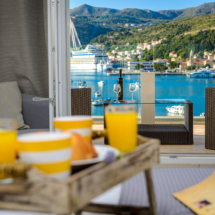 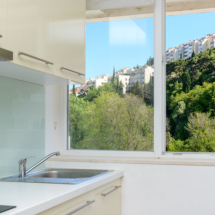 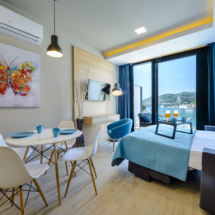 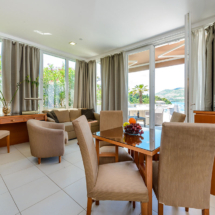 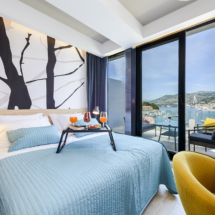 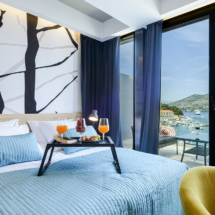 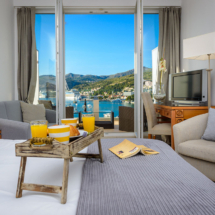 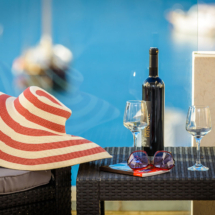 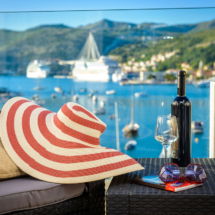 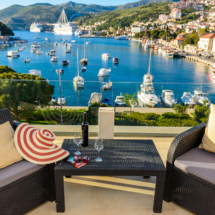 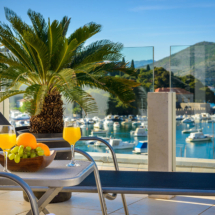 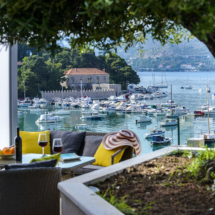 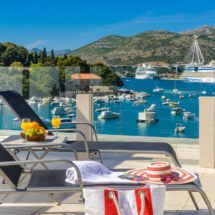 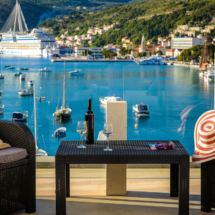 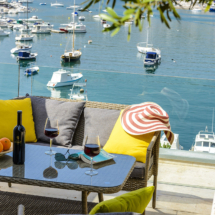 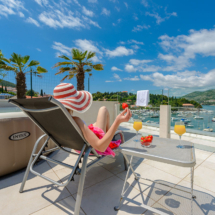 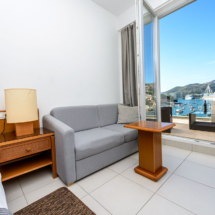 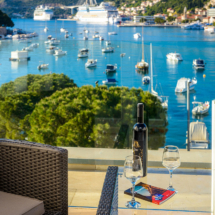 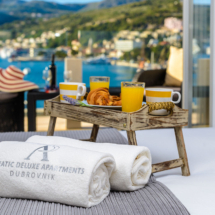 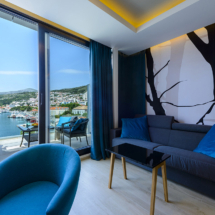 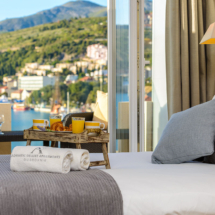 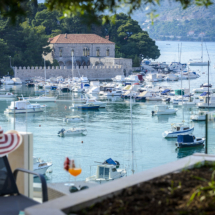 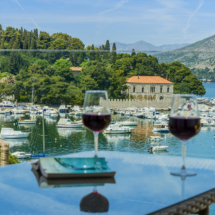 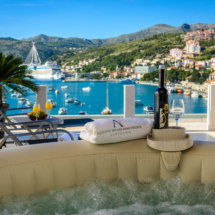 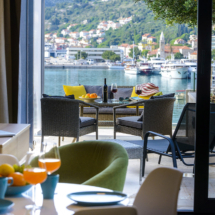 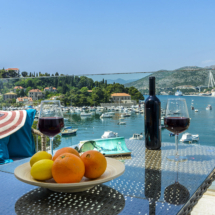 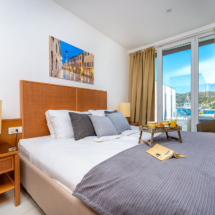 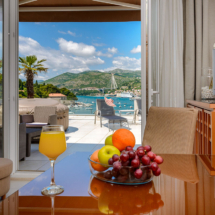 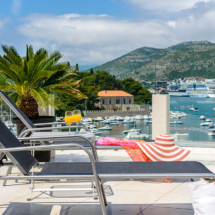 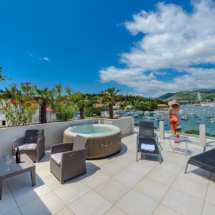 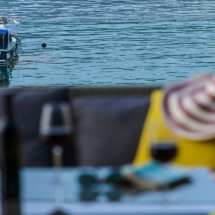 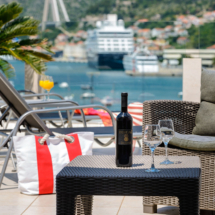 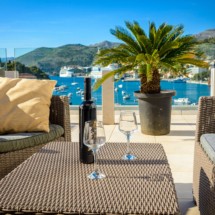 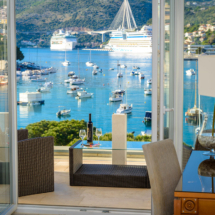 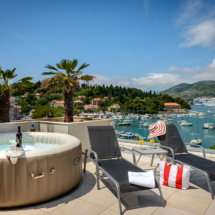 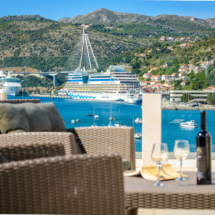 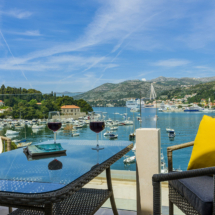 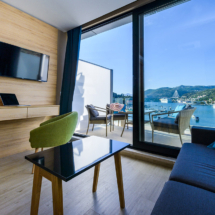 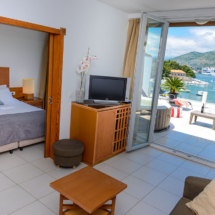 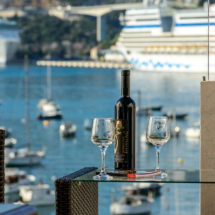 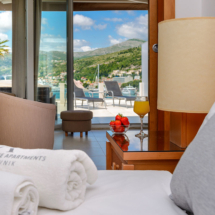 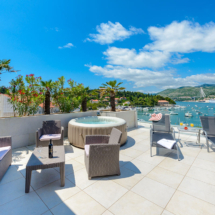 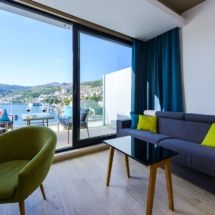 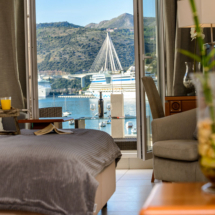 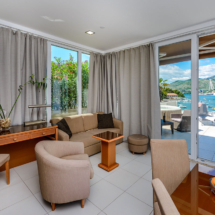 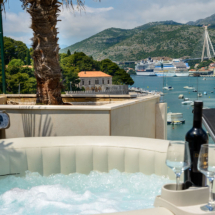 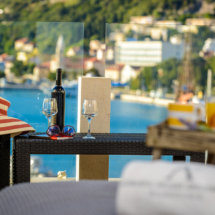 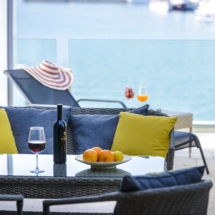 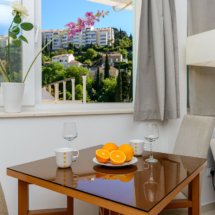 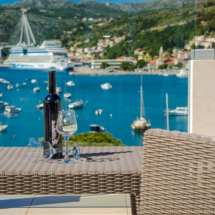 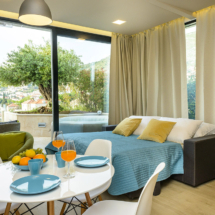 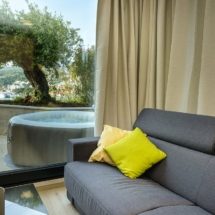 Centrally located in the city of Dubrovnik, 20m away from the sea, overlooking Dubrovnik’s largest bay “Gruz” known for luxurious yachts, located at the top floor (penthouse) providing silence, intimacy and amazing sea view. 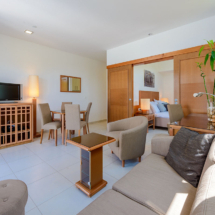 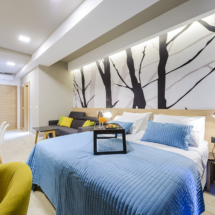 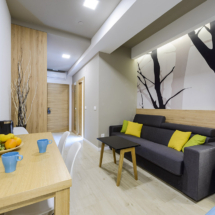 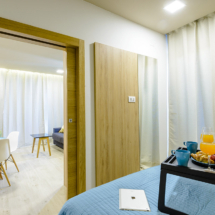 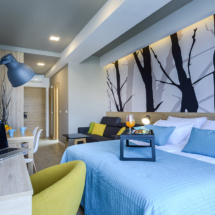 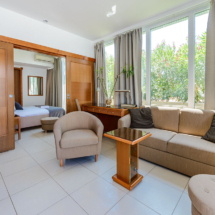 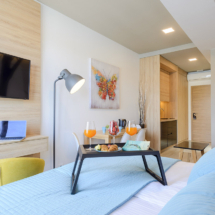 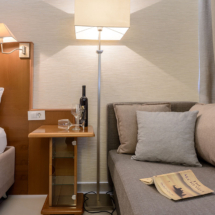 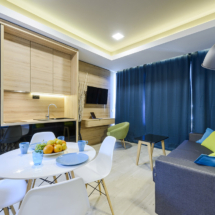 Room facilities: Air Conditioning, High-speed Free WiFi, Fully equipped Kitchen with Refrigerator and Tea/Coffee facilities, Dining area, Living area with a large sofa, Desk, Safety Deposit Box, Hairdryer, Iron, Toilet, Bathroom, Satellite Channels, Cable Channels, Flat-screen TV. 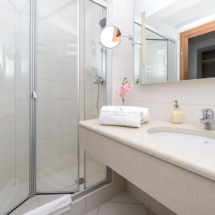 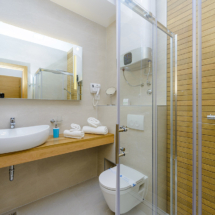 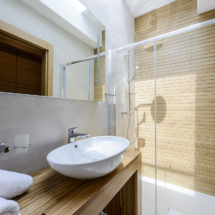 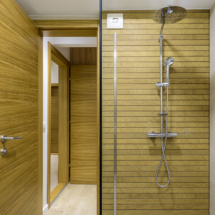 Daily fresh towels and maid cleaning included. 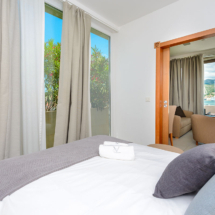 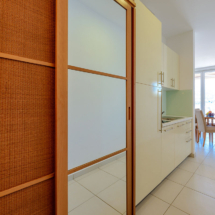 This 50 m2 large one bedroom apartment very comfortably fits 4 persons, featuring a large sea view terrace, a king size double bed in the sleeping room and a living room with a large sofa bed. 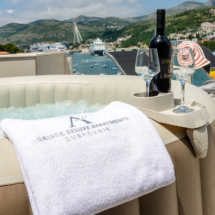 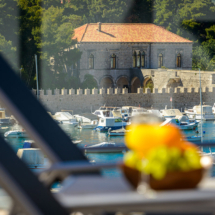 Centrally located in the city of Dubrovnik, 20m away from the sea, overlooking the Dubrovnik’s biggest bay “Gruz” known for luxurious yachts. 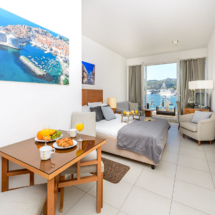 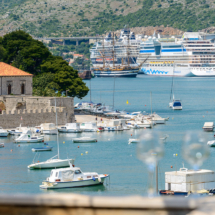 Using several nearby bus stations it takes only 5 minutes by bus to the UNESCO-listed Old town and Dubrovnik’s most beautiful pebbly beaches. 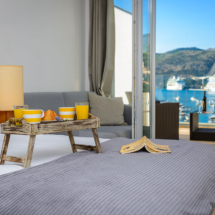 The apartment is located at the top floor (penthouse) providing silence, intimacy and amazing sea view. 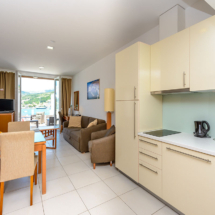 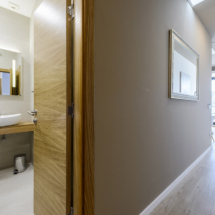 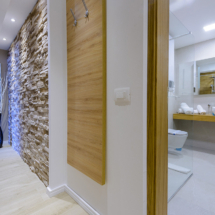 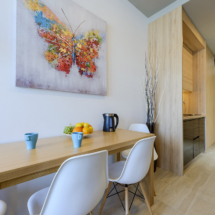 This modern 50 m2 large one bedroom apartment very comfortably fits 4 persons, featuring a 30 m2 large sea view terrace with a hot tub that fits 4 persons, a king size double bed in the sleeping room and a living room with a large sofa bed. 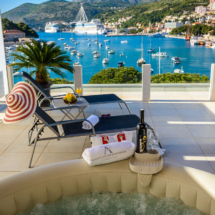 Centrally located in the city of Dubrovnik, 20m away from the sea, overlooking the Dubrovnik’s biggest bay “Gruz” known for luxurious yachts. 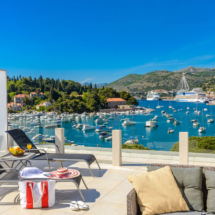 Using several nearby bus stations it takes only 5 minutes by bus to the UNESCO-listed Old town and Dubrovnik’s most beautiful pebbly beaches. 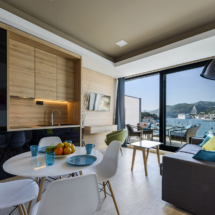 The apartment is located at the top floor (penthouse) providing silence, intimacy and amazing sea view. 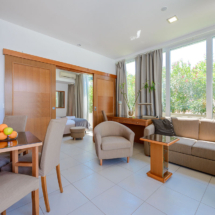 Room facilities: Air Conditioning, Outdoor Hot-Tub, High-speed Free WiFi, Fully equipped Kitchen with Refrigerator and Tea/Coffee facilities, Dining area, Living area with a large sofa, Desk, Safety Deposit Box, Hairdryer, Iron, Toilet, Bathroom, Satellite Channels, Cable Channels, Flat-screen TV. 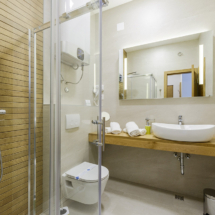 Daily fresh towels and maid cleaning included. 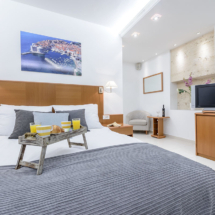 Modern 30 m2 large studio apartment featuring a king size double bed, a sofa bed and a sea view terrace, comfortably fits up to 3 persons. 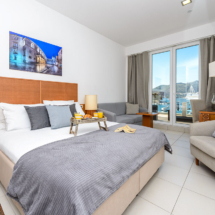 Modern 35 m2 large studio apartment featuring a king size double bed, a sofa bed and a sea view terrace, comfortably fits up to 4 persons. 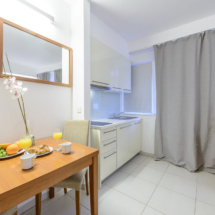 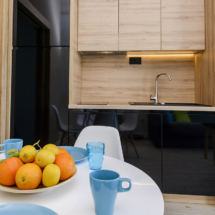 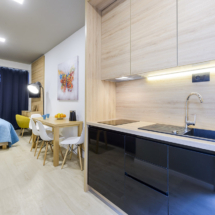 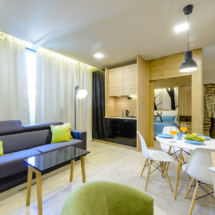 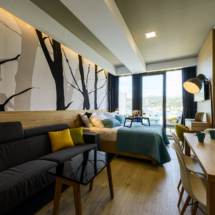 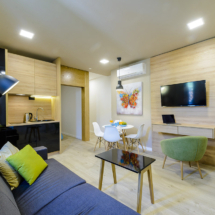 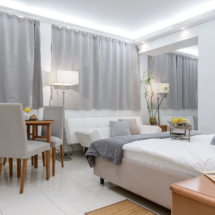 This modern 28 m2 large studio apartment featuring a queen size double bed and a sofa bed comfortably fits up to 3 persons. 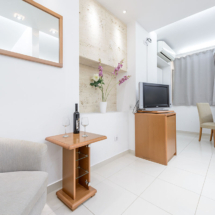 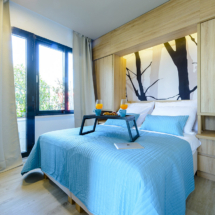 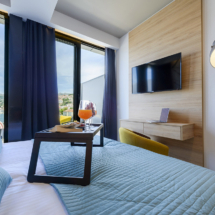 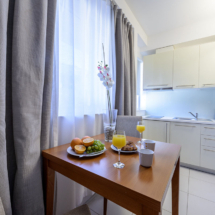 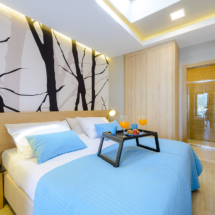 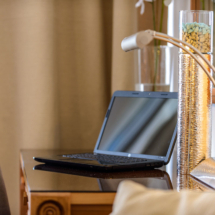 Room facilities: Air Conditioning, High-speed Free WiFi, Fully equipped Kitchen with Refrigerator and Tea/Coffee facilities, Dining area, Sofa, Desk, Safety Deposit Box, Hairdryer, Iron, Toilet, Bathroom, Satellite Channels, Cable Channels, Flat-screen TV. 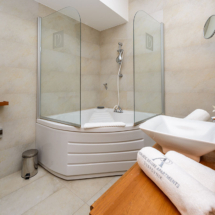 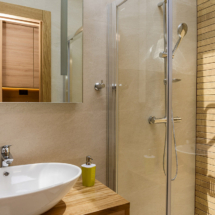 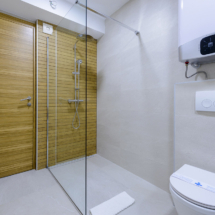 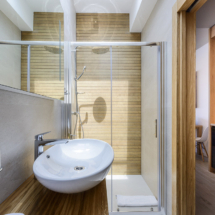 Daily fresh towels and maid cleaning included.